So I'm not sure what I expected for today but it was much better than I planned on it going. I don't have magical things to tell you. I did my work, didn't overeat, read a few chapters, did something that will hopefully help me get focused on doing research again and prepared mentally for the upcoming interview. Plus, and I really do mean this, joy of joys mom and I had a good day today. 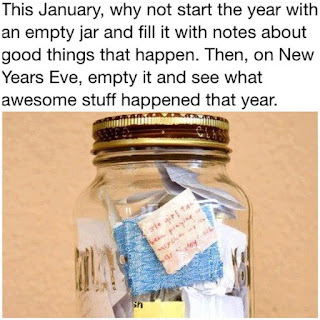 I mentioned last week about starting the new year with a jar of good tidings that I can read at the end of the year to remind me of my blessings instead of lamenting about what didn't get accomplished. I'm not homeless, not really unhappy and I still have my wits about me so I'm ahead of the game compared to others. Here's the photo that inspired it and if you decide to do the same let me know. 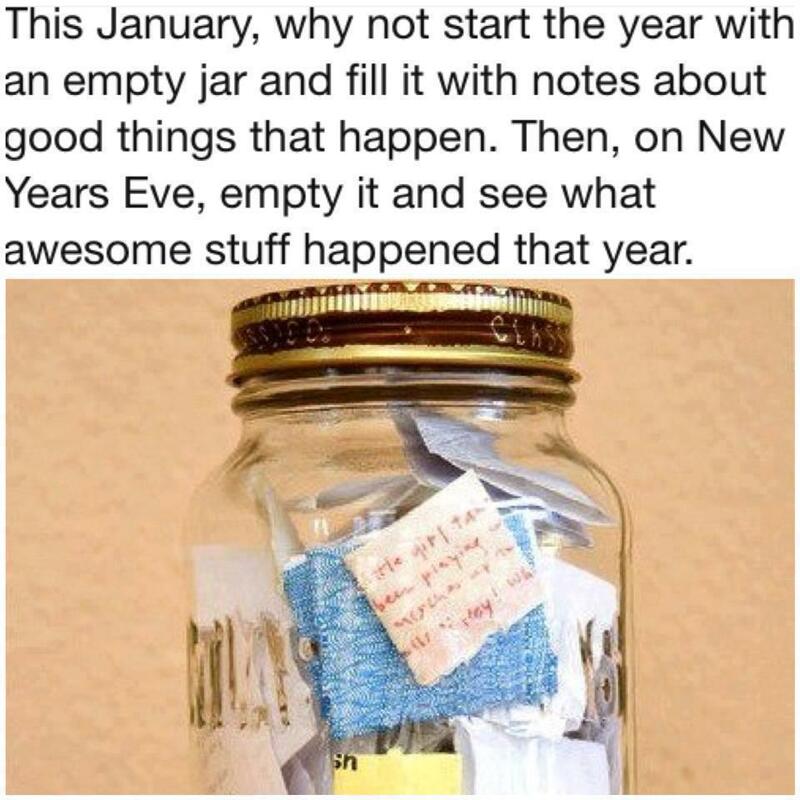 I added six things to my jar today. The biggest of which is about my brother and how close we are--love that munchkin--he's taller than me but still not the point.